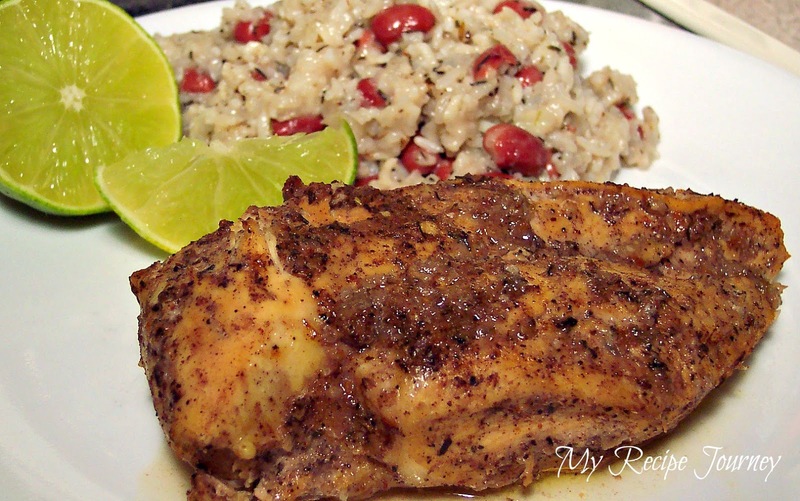 My Recipe Journey: Jerk Chicken with Coconut Rice & Beans...Plus a Giveaway! Jerk Chicken with Coconut Rice & Beans...Plus a Giveaway! This was such a delicious meal! The perfect blend of spices really gives this dish it's authentic flavor! And I love that I don't need to go looking for each spice in the store or in my spice cabinet! No measuring either! Every ingredient comes in it's own separate plastic pouch! I was easily able to prepare this entire meal with the help of a company called Global Grub! They make these really cool ethnic cooking kits that have all the unique ingredients needed to make such mouth watering recipes as this one! I just needed to add a few easy to find, store bought, ingredients to complete the recipe! I've made their Red Chili Tamales and recently wrote about that equally delicious meal here! My family is still talking about that yummy dinner! 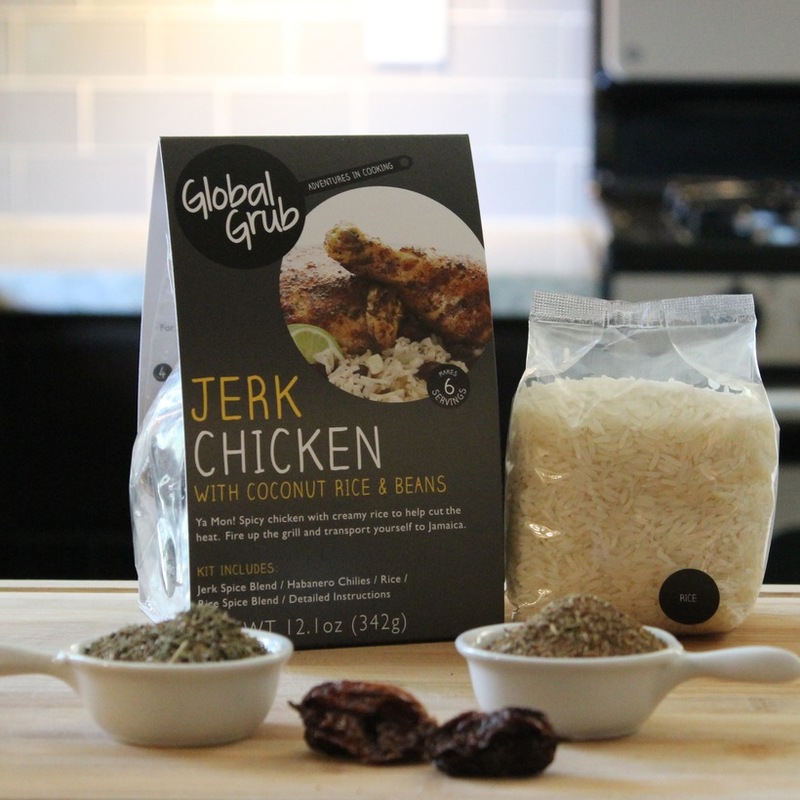 Global Grub took home a Sofi award ( Specialty Outstanding Food Innovation) this year for their Jerk Chicken kit...and I can see why after tasting this dish! I agree with the judges! It's definitely a winner! And now, thanks to Global Grub, one of my readers will be given a chance to win 4 of their own cooking kits! One winner will receive each of the cooking kits that Global Grub makes! They have a Sushi kit...Tangine kit...Red Chili Tamale kit...Jerk Chicken kit. Check out those really cool kits here. 1. Just go to the Global Grub Facebook page here and give them a 'Like' and comment on their page about my giveaway! 2. Go to the Global Grub website here and look around! 3. Leave a comment on this post telling me what you like about the Global Grub website! Thank You to Global Grub for sponsoring this Giveaway! 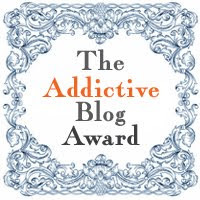 And Good Luck to All My Awesome Readers! Hi my name is Kimesha Josephs my email address is Ktjosephs@aol.com. I like the fact that the global grub website is easy to navigate and straight to the point. I go to the page and right there on the home screen is what they offer with prices I like that very direct. Love Global Grub's kits! 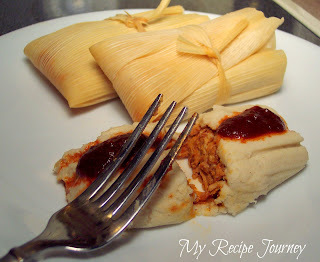 The "Red Chili Tamale" kit is calling my name! I lived in the southwest several years ago and miss this kind of food. Global Grub sounds like they make it easy to enjoy again. Thanks. Can't wait to try it. What a great giveaway. It's funny I was just watching an episode of foodcourt wars and one of the couples specialized in jerk chicken and coconut rice and I thought it looked good and now you have this giveaway that had the exact thing I wanted to try. I like the simplicity of the site. It's easy to use and see what the products are. The Jerk and Coconut Rice Kit looks really interesting, and the getaway looks fantastic! I'd love to "go" to Jamaica! I loved the recipes on the site, the comments people left about them, so I know if they are really good or not. I really loved the whole site. This product has really been intriguing to me since I saw you posting about it earlier. I really think it's awesome concept. A lot of these foods are things that a home cook may shy away from if it's not something they are used to making. These products inspire! After a step by step instruction, I bet I will feel more confident in creating these food items from scratch too! The photos of each kit, prepared really impressed me. I just finished eating and those pictures made me hungry again. I also like the fact they show each of the kits with a price right on the first page. It makes me feel like they won't waste my time with an inferior product. Thanks, Lillian for introducing this new concept to us. That does look good! The kit makes everything easy! Thanks for visiting my page! Renetta McEachern Nettamac@yahoo.com... I think the simplicity of the website and ease of the easiness and uniqueness of their products really stands out. I cannot wait to try these marvelous looking dishes! This is a fantastic website and I really love the way everything is explained in detail with the price right there without having to search for it or go to the cart before you know the details! Thanks for such a lovely sight with wonderful products. This is an awesome giveaway! I love that they have foods from all around the world so you can try something different each time! I think I would like the tamale kit best.